This week he takes a look at the latest experiential activation for cult sci-fi show Almost Human. 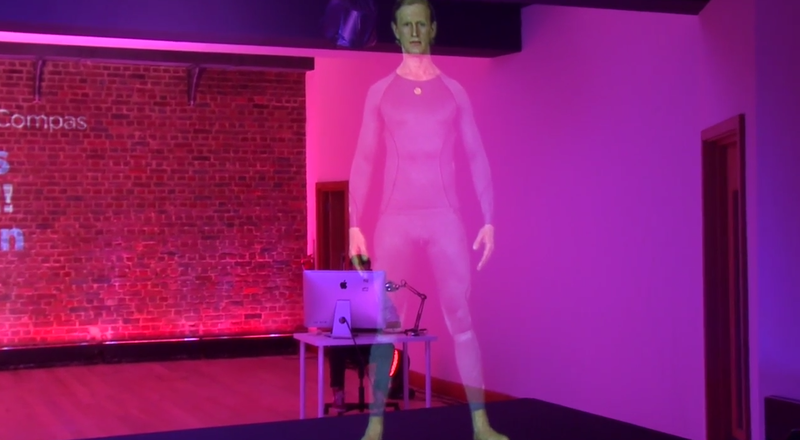 The Soho-based installation promoting Fox’s series Almost Human used a window display showing a holographic ‘android’ combined with social media interactivity to get people talking. 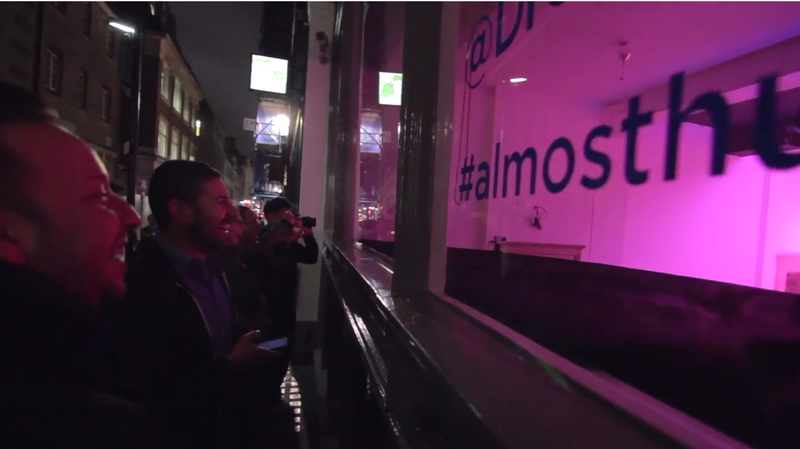 This unusual experiential activation encouraged passers-by to tweet requests at the Twitter account @droiddothis. From acting like a bodybuilder to taking his top off, the ‘android’ would then respond to the requests. Those that tweeted in were sent back a Vine of the android responding to their request. The more risqué requests were met with a disapproving wagging finger from the android. 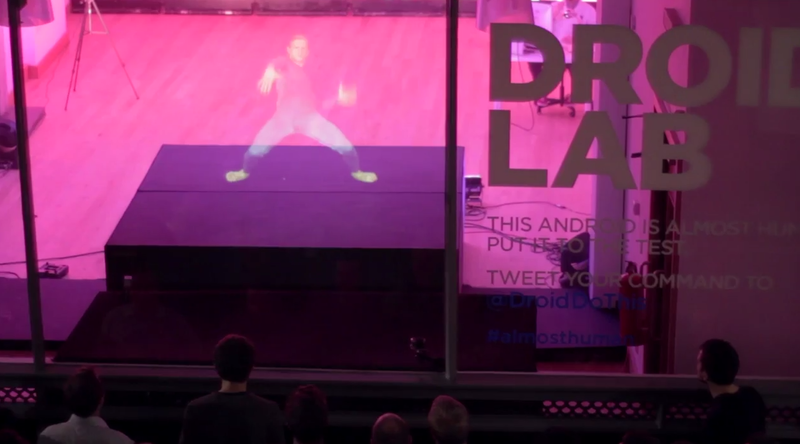 Whether it was air guitar or breakdancing, this experiential marketing campaign stands out to me as a good example of using multiple platforms to form a complete experience. Although in the future there might be androids so sophisticated that they will be able to perform many tasks better than humans, until then, the idea of an android that responds to commands sent via social, is definitely something that captures the imagination. As well as taking advantage of crowd sourcing, the social media interactivity gave people the opportunity to uniquely contribute to the event. It’s also a great example of how live experiences, where humans (or androids) interact together face-to-face can have an impact. I do think that the experience could have been expanded from just the local element using a live video stream- so that people anywhere and everywhere could have felt they were part of the event too. I love the way that social media is becoming more and more a part of brand experiences, not just to get a campaign to go viral after it has happened, but in shaping the experience itself. At the Oscars for example, there was a vending machine you could use in exchange for a tweet, and there’s been plenty of brand experiences in the past such as the Marc Jacobs Tweet Shop and Starbucks Tweet a Coffee which highlight the potential of social. Joss Davidge is managing partner of brand experience agency BEcause, an award winning brand experience agency which has been helping getting brands talking for over 20 years.